Google’s much-awaited Project Tango will finally hit stores as a $500 Lenovo smartphone, the two companies announced at the CES in 2016 in Las Vegas. Project Tango is Google’s technology to help mobile devices like tablets, smartphones figure out space and motion just like humans do and brings spatial perception to Android devices. Google had earlier launched Project Tango Development Kits to help developers create apps to use this technology. Lenovo is not the only big partner for Google’s Project Tango. In August 2015, Intel had showcased its Project Tango phone powered by Intel’s RealSense technology at its own developer forum. The $399 Project Tango phone is now up for pre-order on Intel’s website. 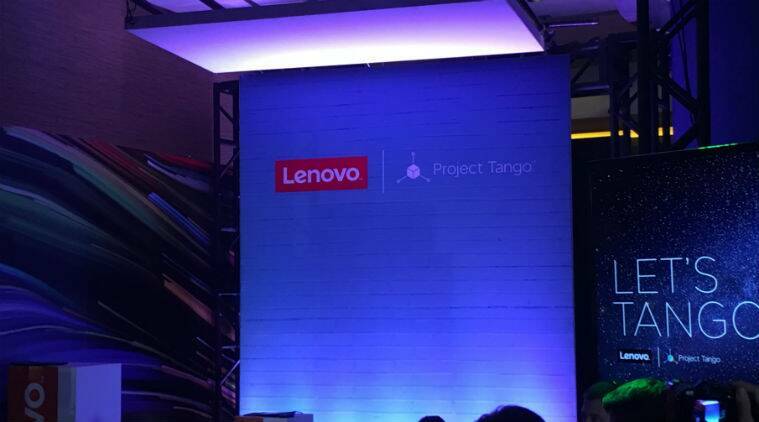 Now, Lenovo has officially joined the Project Tango party and promised a launch by summer of 2016. The company says the Project Tango device they launch is intended for consumer use, will have a Qualcomm processor, three cameras (RGB, Fisheye and Depth) which will allow it to do the 3D mapping. Lenovo says it has not yet fixed a form factor for the phone but it could be between 6 to 6.5-inches in screen size. Google also showcased the progress it has made with Project Tango, with product lead Johnny Lee showing how the device can be used to accurately measure space, the area, and even create and play 3D games like Jenga. Google has worked with other app developers, who have created these apps for Project Tango devices. Essentially, the Project Tango device sees any space as a 3D map, helping its users put this information to decide what furniture will go in a house or to create a three-dimensional image instead of a flat photo. Google says Project Tango devices have potential in scanning locations and products, gaming and other utilities, ultimately changing how mobile device are used. “With Project Tango, the smartphone becomes a magic window into the physical world by enabling it to perceive space and motion that goes beyond the boundaries of a touch screen,” said Johnny Lee, Project Tango Lead, Google. “By working with Lenovo, we’ll be able to make Project Tango more accessible to users and developers all over the world to both enjoy and create new experiences that blends the virtual and real world.” Chen Xudong, senior vice president and president, Mobile Business Group at Lenovo says the project will help break down silos across mobile hardware and software, creating a more holistic product experience that captures the imagination of today’s consumer. Google and Lenovo have also launched an app incubator program to help more developers build apps for Project Tango.